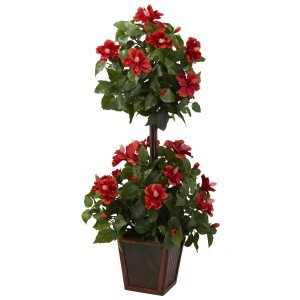 You’ll get twice the beauty with this striking Double Hibiscus Topiary. Featuring two distinct blooms of colorful Hibiscus flowers amid lush green leaves and a stately trunk, this wonderful specimen stands a full 39″ high. 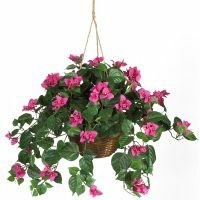 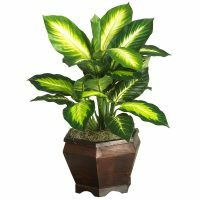 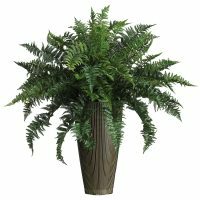 Complete with a decorative planter, it makes for a very versatile decoration, and looks great almost anywhere, without ever needing water. 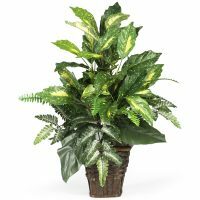 Buy one for yourself, and one as a gift for that nature lover in your life.